“How much would you pay for this car?” my friend asked us. “I dunno,” I said, because we weren’t in the market for a car, and I never paid attention to car prices anyway. I jokingly named what we had in our savings account at the time, which wasn’t nearly as much as the car – a two-year-old Saturn SUV with all the trimmings – was worth. “Sold,” said my buddy, to my surprise. He was looking to get rid of the car because his new kids meant he needed a minivan, and he’d rather this car went to someone he liked. So we had a car. It had everything: heated seats, satellite radio, big space. We loved it. Our old car, coincidentally, died irreparably three weeks after we sold it to someone, even though it had been in good shape when we left it. We joked that it loved us so much it couldn’t bear to be with anyone else. 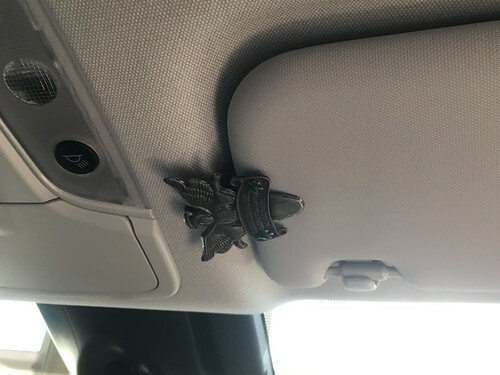 The first thing we did with our new car was the thing we did with every new car: we put my grandmother’s angel clip in it. The angel clip was not at all unique: my grandmother bought them by the box from Avon. She loved giving away bric-a-bracs, so much so that when we moved her into the nursing home we realized that her bedframe had collapsed and her mattress rested entirely upon a platform of Avon soap-on-a-ropes, which she would hand out on every occasion. But she’d given it to me and said, “This angel clip will keep you safe.” I clipped it to my car sun visor, where it may have protected us from roadsize hazard but it was a razor-sharp piece of metal at temple height when you pulled the screen down. Still. My Grammy gave it to me, and it was nice having a piece of her in the car. 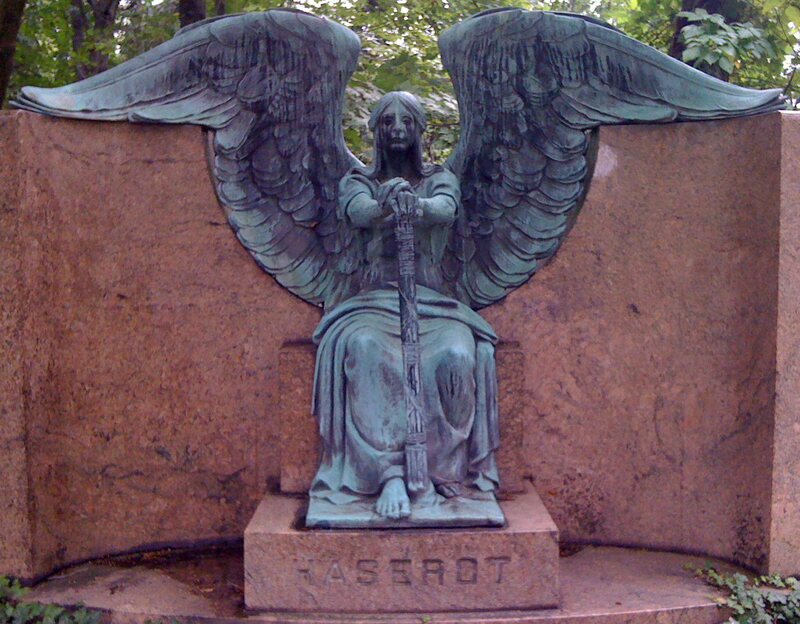 When she died I’d sometimes touch the angel, knowing a part of her went with me wherever I drove. Yet fast-forward a decade and 120,000 miles, and our beloved Saturn felt like a dying pet. It had always had trouble with its wheel bearings, grinding them out every eight to fourteen months like mangled clockwork, so much so that our garage had a standing order for replacements. So we went car shopping, excruciatingly aware that our car was on a countdown. And as the days piled on, with the grinding of those traitorous wheel bearings getting louder, it felt like watching over a dying pet. Because the car was trying, it truly was, a magnificent effort – you could feel it chugging to life when we stepped on the accelerator. 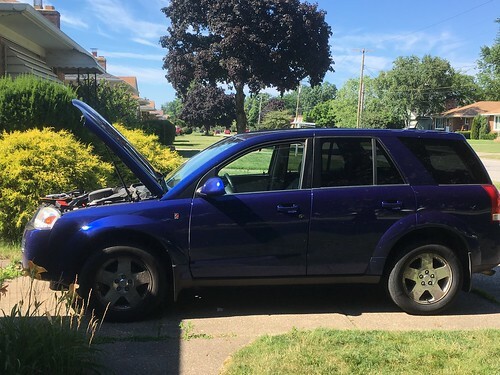 Three weeks after the diagnosis the air conditioning died in the summer heat, but it didn’t just die – you could feel the car wheezing, trying hard to produce cold the way it used to, coughing sporadic bits of freon in your face. The dealer said they’d probably sell it for salvage, which hurt my heart. So on Sunday, I cleaned out the car to pick it up for trade-in. We’d had it for a decade, so it had all sorts of things stashed in it – CDs we’d never played since we figured out we could connect our iPhones to it, mysterious keys to bike racks we’d long sold on Craigslist, and of course the angel clip. I put the angel clip in a pile in the backseat as I cleaned, the pile marked “Transfer to new car.” And I whispered reassurances to my car, feeling foolish, but thanking it for all it had done for us, we were grateful, we didn’t want to sell you but it’s time you rest. Monday, we stepped into the driveway, knowing this would be our car’s last trip with us. We sat there dumbfounded, hearing the clicking noise in the ignition, then burst into laughter. Touche, car! “I guess it really doesn’t want to be with anyone but us,” Gini joked. We got out our car charger, hoping it was just a dead battery. “Oh!” I said, going back into the house. “I forgot my Grammy’s angel clip!” Because the first order of business once we signed the paperwork was to put Grammy’s love into the new car. I looked through the pile of “Transfer to new car” stuff. Confused, I checked the pile three times, then wandered out to our old, trusty Saturn. And sure enough, the angel clip had fallen off the pile, wedged in the corner of the back seat, where it would have gone to the junkyard with the rest of the car. The car started up shortly after that. I’m a skeptic who realizes that the universe may be arbitrary and cold, but I choose to believe in certain stories. And what I believe is that my Grammy and the car both refused to go until my Grammy’s angel clip was safe and ready in my hands to go to the new car, the passing on of generations. Anyway. 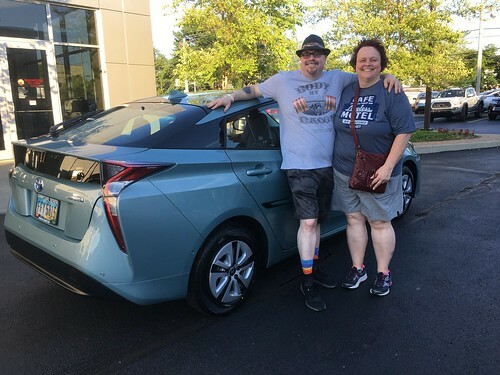 We now have a seaglass-green Prius, which will hopefully last us long and fruitfully. My Grammy’s clip was the first thing we did. This is just a marvelous tale of the power of grandparents to watch over us. I love it. Best of luck with the new car. I have a similar tradition, albeit from my parents not grandparents. If I may make a suggestion: perhaps locate the clip somewhere less likely to poke you in the eye? Shaddup. I’m not crying, you’re crying. Your car made me cry.